As a young boy, Hank Booth struggled emotionally and socially. When Booth started experimenting with drugs, his parents turned to Devereux Advanced Behavioral Health Texas. 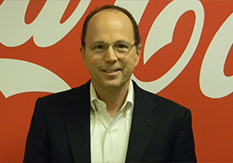 Decades later, Booth now serves as chairman of the Devereux Georgia Advisory Board. When Hurricane Harvey made landfall last year with unrelenting rain, causing devastating and widespread flooding, Devereux Texas was put to the test. Following the storm, the nonprofit was awarded a $50,000 grant from the Texas Center for Child and Family Studies, in partnership with the Rebuild Texas Fund. The grant is now providing advanced-level trauma training for staff. Devereux Center for Resilient Children (DCRC) Early Childhood Specialist and National Trainer Nefertiti B. Poyner, Ed.D., offers tips for families to focus on togetherness during the holiday season. 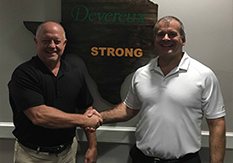 Devereux Texas is back … and better than ever! 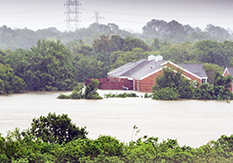 In August 2017, Devereux’s campuses in League City and Victoria, Texas, were put to the test when Hurricane Harvey made landfall. The Category 4 storm brought more than 50 inches of rain to the Houston area, causing devastating flooding and significant damage to both Devereux Texas centers. Today, nearly all repairs are completed and Devereux Texas is stronger than ever. 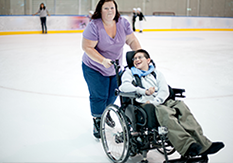 October is National Disability Employment Awareness Month (NDEAM), and at Devereux Advanced Behavioral Health, we believe all individuals should be given the opportunity to be included and make a positive impact in their communities. 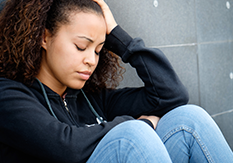 The American Association of Suicidology reports that, in the U.S., nearly 45,000 individuals died by suicide in 2016. In addition, the organization said suicide is the 10th leading cause of death, with an average of one person taking his or her own life every 11.7 minutes. 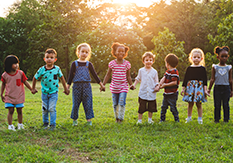 This month, the Devereux Center of Resilient Children invites everyone to embrace our shared role in promoting healthy early childhood development by taking its online pledge to promote the resilience of all children, and to learn more about the negative impacts of childhood trauma, as well as the need for trauma-informed practices. 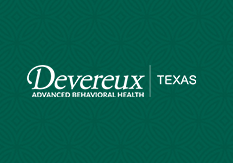 Improved resources will soon be available for those suffering and recovering from trauma, thanks to a financial contribution to Devereux Advanced Behavioral Health Texas. In late April, the Texas Center for Child and Family Studies (“the Center”), in partnership with the Rebuild Texas Fund, named the nonprofit a $50,000 recipient of its Rebuild Texas Fund Grant. 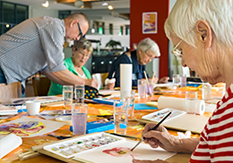 Throughout its programs, Devereux teaches the idea of “resilience” - the ability to recover from, or adjust easily to, misfortune or change. That concept was taken to unprecedented levels for Devereux Texas during, and after, Hurricane Harvey. Six months after Hurricane Harvey’s devastating blow to Devereux Advanced Behavioral Health Texas, a donation has the nonprofit on firmer footing for its path to recovery. 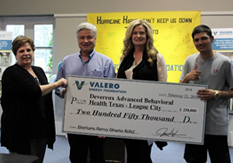 Recently, the Valero Energy Foundation presented Devereux Texas with a check for $250,000 to benefit the organization’s Hurricane Harvey Relief Fund. It took a village … but our Devereux Texas campuses are kicking off the New Year in their facilities which, last August, were fully evacuated and significantly damaged by Hurricane Harvey. 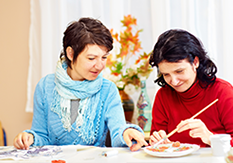 Hurricane Harvey has been devastating to the residents of Texas both in Houston / League City and Victoria, where Devereux Advanced Behavioral Health has programs.